This will be a new dramatization of Bram Stoker's classic tale, written especially for us by Discworld playwright Stephen Briggs. 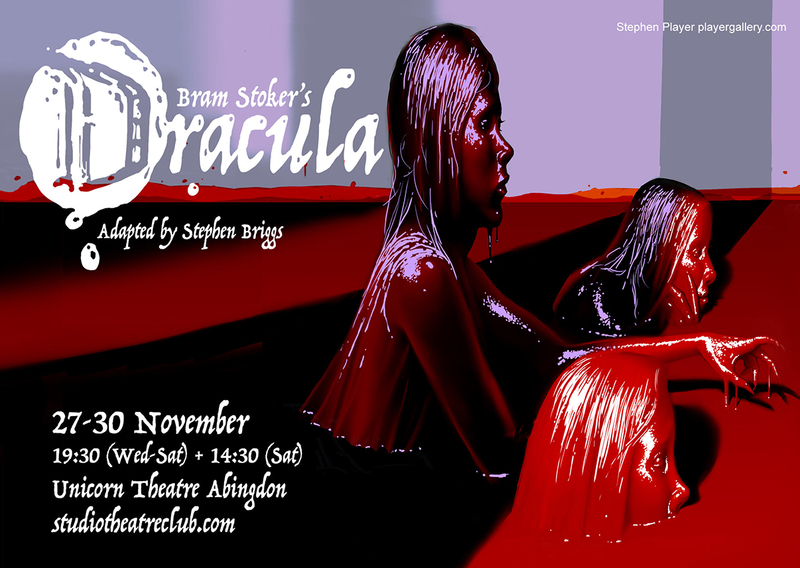 The atmospheric and medieval stones and beams of Abingdon's Abbey Buildings will be the perfect backdrop to this darkly gothic horror story. Prepare to have your spine chilled. If you want to read for this show, the casting reading will be on 22 July at 19:30. The online box office will open at 9am on 10 September. Early booking is recommended! Performances at 19:30, plus a 14:30 matinee on the Saturday.